A movement doesn’t begin with a shove. A movement begins with a barely noticeable nudge. 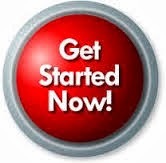 Movements begin with the momentum gained when interest, passion, and ambition coalesce into an idea. That’s the small act that nudges the process of change forward. It’s harder to pinpoint a date for this beginning. Frequently, you don’t know you’re part of a movement until change is already in motion. Thanks to the collective force of several nudges, USANA United for Youth is rolling. Change is happening, and we’re all a part of it. Today is just the day everyone in the USANA family realized it. 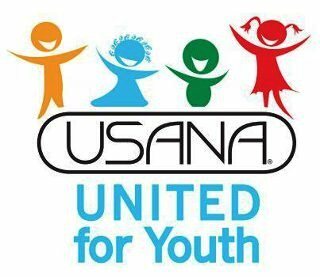 This movement represents USANA’s efforts to help young people around the world grow up healthier, with enough to eat, and a little more information about their nutritional needs. Working with various partners, and through the efforts of its Associates and corporate staff, USANA United for Youth is already making an impact. Pinpointing the start of these efforts to help children isn’t an easy task. Whatever nudge set this movement in motion isn’t easily recalled. But, it’s not hard to come up with a list of efforts already in the works. A $250,000 donation to the Linus Pauling Institute’s Healthy Youth Program, which has already sprouted a variety of projects—a student garden, a study of school lunch programs, cooking classes for younger kids, and the manpower needed to make future projects a success. A partnership between the USANA True Health Foundation and HealthCorps®—a charity, founded by Dr. Mehmet and Lisa Oz, that works to fight childhood obesity. A long-standing support of Children’s Hunger Fund, which has been expanded with the launch of the USANA True Health Foundation. An effort by Associates to host events—like a recent children’s health fair—and use their knowledge to improve the lives of children on a parent-to-parent level. A commitment to nutritional products tailored to the needs of children and teens. All of these things and more are already happening. Now the next step for the USANA United for Youth movement is to use that momentum to do even more to help children grow up healthier and happier. And that means getting every member of the USANA family to join with our CEO—check out the video of Dave Wentz introducing the USANA United for Youth movement at the end of this story—in this important effort. Over the next few months, you’ll see stories that more fully explain what the USANA United for Youth movement has already accomplished—those nudges that have put the ball of change in motion. When you’re reading these stories, start thinking about how you can contribute. Ask yourself: Can I donate a few extra dollars? Can I host an event? 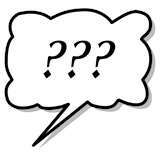 Do I have knowledge, expertise, or energy I can share? Remember, it doesn’t have to be a shove. A nudge will suffice. Jen Groover has been called a lot of things—a business expert, an innovator, a “One-Woman Brand” by Success Magazine, a leading “Serial Entrepreneur” by Entrepreneur Magazine, and, maybe most importantly, “Mom” by her daughters. Now you can also call Groover the newest member of the USANA family. The sought-after speaker, business and lifestyle contributor to multiple major networks, and inventor is now a spokesperson for USANA, and will make an appearance at the upcoming SWEET Retreat. She brings with her a wealth of experience as an entrepreneur and the power to inspire people and help them reach their potential. 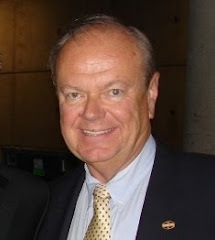 Groover has been involved with direct selling since 2000, and is a big fan of the industry. “What I love about the direct-sales world is the empowerment that the companies understand and give to the people within their organization,” she said. Self-empowerment was an idea Groover started living early on. She was an entrepreneur right out of college because she wanted to find her own life and grow as fast as she could. With the creation of the Butler Bag, she found a springboard into what Groover feels she was truly meant to do. Although Groover is an industrious, successful businesswoman, she still has time for her family. And she understands what it means to mix the hustle and bustle of building a business with family time—something familiar to many USANA Associates. Despite her extraordinary success, things haven’t always been great for Groover. She has also experienced the ups and downs of being an entrepreneur. But she’s learned to turn what some would call negatives into valuable learning experiences. In Groover, USANA has found the perfect spokesperson: Someone who deeply understands the challenges and triumphs of being in business for yourself, and someone who can articulate those feelings to a wide audience and provide guidance and inspiration to entrepreneurs-in-waiting. 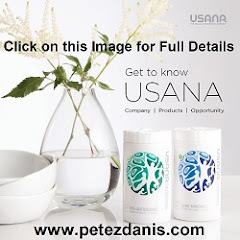 She is certain to be an asset to USANA, and a valued member of the family.